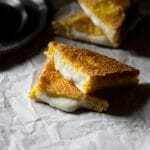 Mozzarella in Carrozza Recipe, Italian fried mozzarella sandwiches. A simple, rustic recipe that makes an incredibly delicious snack! Creamy mozzarella cheese stuffed sandwiches dipped in flour and egg then fried. 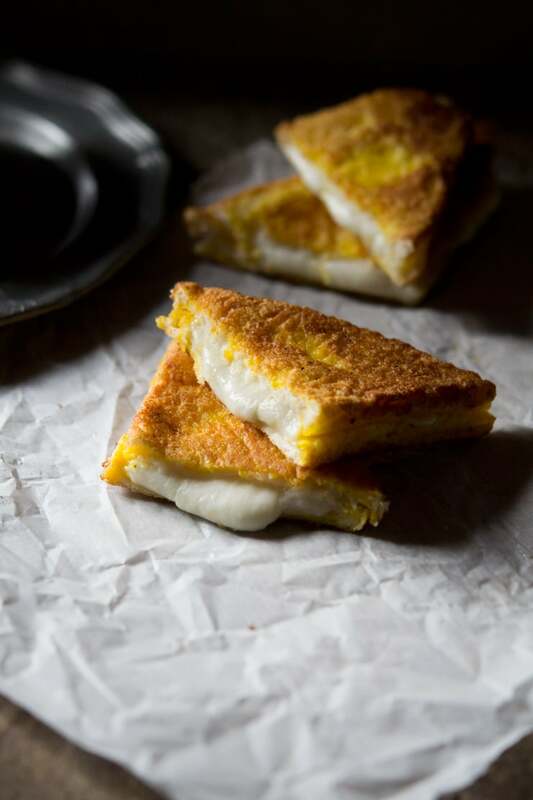 Oh yes, this mozzarella in carrozza recipe is extra indulgent and mouth-wateringly delicious yet simple as can be. Made with pantry ingredients it’s low-cost and so easy to whip when you want good food, fast. You know when you just feel like something extra comforting, usually after a long stressful week (or day). Something usually involving cheese and a glass of wine? Well, this is the perfect thing for those exact moments. 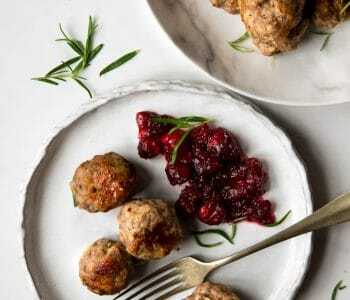 What’s better is it uses basic ingredients and takes no time at all to make. 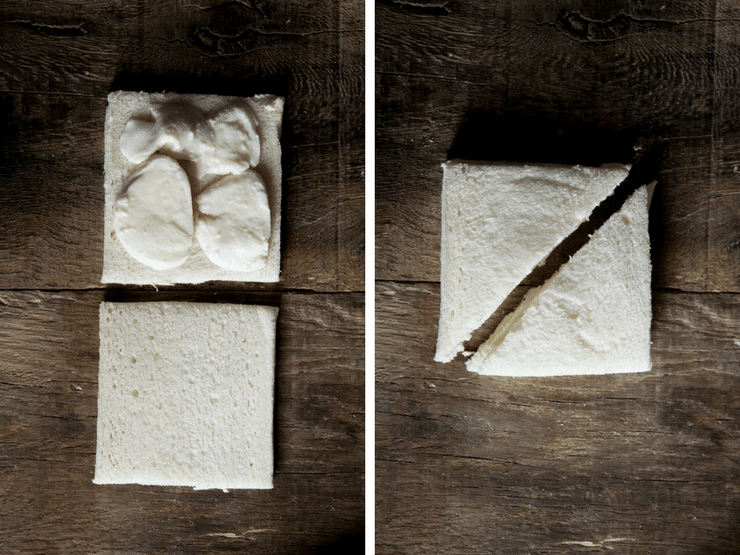 Ok, you need to do some dipping and dunking from flour to egg but that’s what makes this mozzarella sandwich taste SO good and it’s worth the tiny little effort. Mozzarella in Carrozza literally means mozzarella in a carriage. Soft melting cheese sandwiches with a crunchy, crispy outside. There are a few variations of this recipe, some adding salted anchovies or prosciutto crudo which is also incredibly delicious. Some are also dipped in breadcrumbs after the egg for and extra crunchy outside however, I prefer it this way. You’ll need; sliced white bread with the crusts removed, eggs, milk, flour, mozzarella and sunflower oil for shallow frying. Cut the mozzarella into slices (medium thickness, not too thin) and add them to one slice of bread. Cover the top of the mozzarella with another slice of bread to make a sandwich and cut diagonally into triangles. Dust each triangle in flour making sure to cover the edges well. 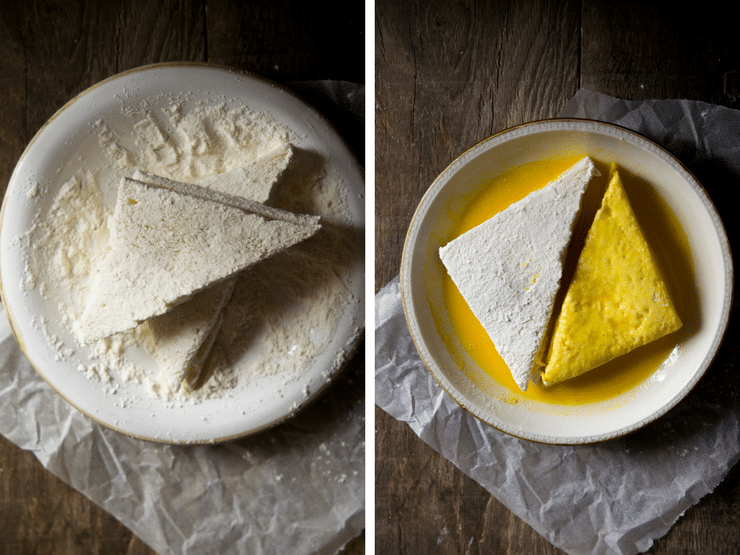 Dip the triangles into the egg and milk mixture quickly but making sure all edges are covered then fry in sunflower oil for a couple seconds each side until browned and crispy. 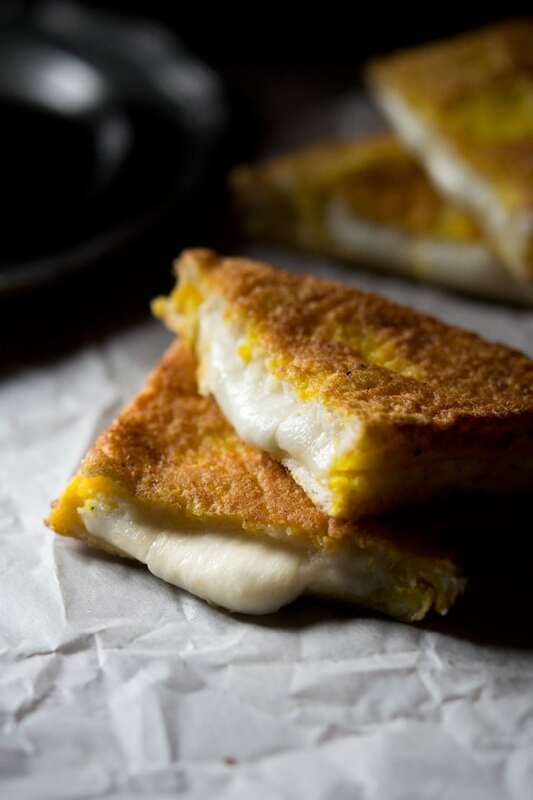 Mozzarella in Carrozza Recipe, Italian fried mozzarella sandwiches. A simple, rustic street food that makes an incredibly delicious snack! Add the eggs and milk to a bowl with a pinch of salt and pepper and whisk together. Add the flour on a separate plate and set them both aside. Cut the mozzarella into slices, medium thickness. Divide the mozzarella slices between four slices of bread. Make sure no mozzarella is outside the edges of the bread. Cover each slice of bread topped with mozzarella with another slice of bread to create a sandwich. Cut each sandwich diagonally to make triangles. Add around 6 tbsp of sunflower oil into a frying pan, enough to shallow fry. Dip each triangle in flour making sure to cover all edges. One by one dip each triangle in egg quickly again making sure to cover all edges. Place each egg dipped triangle in the oil and fry the sandwiches in batches until browned and crispy on each side. Can I get a heck yes!? I just finished dinner, but somehow I’m already hungry just from looking at this. I think I’m in love! It’s definitely extra indulgent but worth it, thanks Christine! I’m trying to decide if this is a savory recipe or dessert. 😉 So gooey and decadent. It looks amazing! Who says you can’t have a fried cheese sandwich for dessert? Ha thanks Lisa! Wow! What can I say , “Simply yum !”. 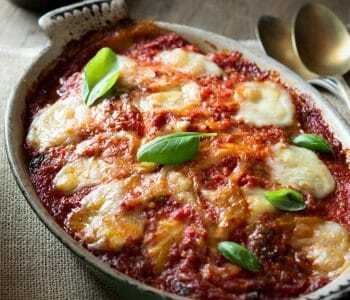 That gooey melted cheese is a definite winner . Gooey melted cheese is always a winner, thanks so much Syama.